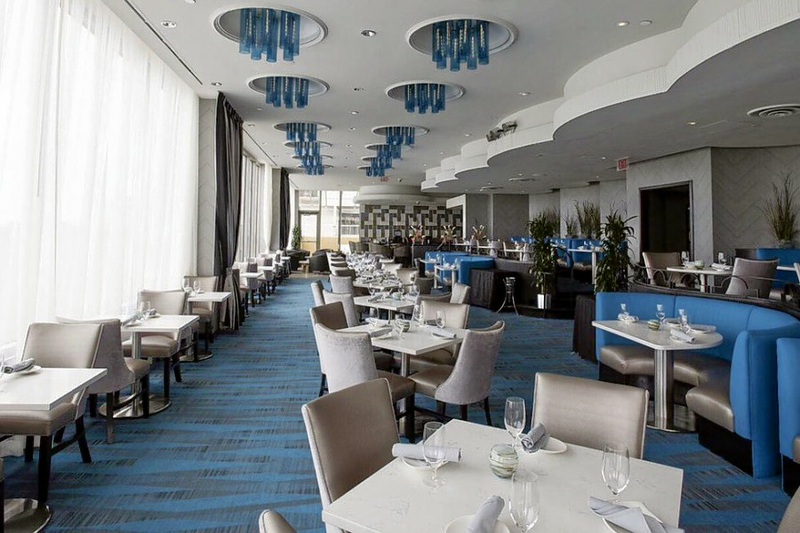 A new restaurant with an outdoor terrace lounge has made its debut at the Tropicana Atlantic City. The fresh arrival, called Chelsea Five Gastropub, is located on the fifth floor of Chelsea Tower at 2831 Boardwalk. Focused on locally sourced seafood and handcrafted cocktails, the restaurant offers diners panoramic ocean views with floor-to-ceiling windows. There are a plethora of libations on offer from wine and beer to signature cocktails. According to the establishment's website, the menu features over 50 whiskeys and bourbons and old-fashioned drinks prepared with robustly flavored spirits. Try the original variation of the Whiskey Sour made using Rittenhouse rye whiskey, house-made simple syrup, lime juice and an egg white. Hungry? Check out appetizers like crab cakes, chicken wings and fried calamari; the Chelsea Burger with fried shallots and sweet bourbon glaze; or entrees such as shrimp and grits or maple whiskey salmon served with mushroom risotto. Chelsea Five Gastropub is off to a promising start with a five-star rating out of three reviews on Yelp. Jessica H., who reviewed the new spot on Aug. 20, wrote, "Hope this place does well because it is good! The oysters were extremely meaty and tender. The crab mac and cheese was so good we put in a second order to go." Yelper Alice C. added, "Food is absolutely incredible. The staff is amazing and very attentive. This place is brand new and is really doing well." The restaurant's hours of operation were not available at the time of publication.